Welcome to the last stop of the Proudly Paranormal Blog Hop…As part of this fantastic hop I will be giving away a copy of Bid For Love (if you already own Bid For Love don’t worry I can always changes the book for you)..Remember to enter so you can win. All you have to do is drop a comment about my blog, my books or anything you wish. Why are we so drawn to the paranormal? What is is about ghosts, vampires, werewolves and all the other creatures that pulls us in? In mythology and history all these creatures have been described as such horrible and dangerous creatures that kill and destroy. So why do we want more? As writers all these different creatures and the paranormal world give us a vast playground when it comes to building words and creating tales of love, seduction, romance and fantasy. Personally I love the paranormal genre because I’m fascinated by everything about it. The history, the stories that have been passed down all over the world from different cultures. It is interesting to see what people believe and how it affects them. One of the best books I own in my collection is a huge dictionary of mythology that is over 1300 pages. It is something that I love to look through and read. It has so many different myth’s and stories that I’ve never heard about and I get inspired. 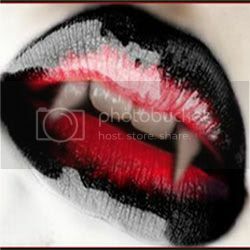 I know that currently vampires, werewolves, demons, angels are big, and yes I’ve published a vampire novella, but now I’m trying to do something different. I want to dive into something new and introduce readers to other paranormal creatures and mythological creatures. With all the choices that readers have when it comes to books I think it is always amazing that there is variety they could pick from when it comes to a specific genre of books. Authors are thinking outside the box. We see the market change every few years and it becomes flooded with specific topics. The last few years the obvious has been vampires. Teens and adults have embraced the creature of the night and it doesn’t seem to be slowing down. But with the shifting market you see that writers are starting to look for more and further when it comes to the stories they create. I don’t think I will ever get tired of the paranormal genre since there is such an array of things that I can bring to life in the pages of my books. The older I get the more I get fascinated with it all. What paranormal creature do you love? Do you think that the market is ever going to get sick of books about ghosts, vampires, werewolves and other paranormal creatures? The world Aila comes from is one most don’t know exist. Her life lies in the hands of destiny but she is determined to risk it all for one man, Quade. Their worlds were never meant to collide, but something has brought them together. Can love save them or will destiny give them one last night! Her hunger slated along with her panic now that she knew he was safe, and unharmed. Quade scooped her up in his arms with ease, and proceeded toward the cabin. “I know you can, but this is different,” she said as she cupped his face. “What about your wood?” she asked as his warm, wet body caressed her cold skin. Droplets of water cascaded down his face, and dripped from his short black hair. In a few steps they were inside the warm cabin. Quade nudged the door shut behind them with his foot, and then one after the other kicked off his boots with her still in his arms. He headed for the bedroom where he laid her down on the soft blanket that covered the bed. She watched him go into the bathroom, remove his clothing and wrap a towel around his waist. Aila watched every contour of his body with hunger. Is it even possible to find a more beautiful man than him? She didn’t think so. In her eyes he was perfect. What she wouldn’t give to touch him at that moment. To feel the warmth of his body against hers. Aila slid off the bed to stand behind him. Heat emanated from him, and soothed her hunger. Quade turned. “We have to get you out of those wet clothes.” He reached for the top of her shirt and opened it. Little by little his fingers moved lower, freeing each button from its hold. She’d missed these feelings. Being around someone who looked at her not for who she’s known as, but for the woman they had in front of them. His warm hands slid under her open shirt, and with tenderness he guided it down her arms. The cool air caressed her skin. Her body ached for him, for his touch. Great excerpt! I’m currently still in love with my vampire series, but I have to admit there’s a dragon idea that’s been rattling around my head for a while. I think it’s time they got their due in the paranormal spotlight. 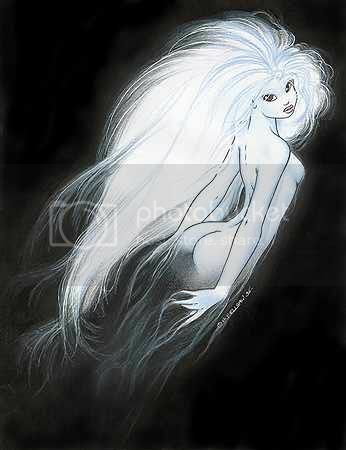 Ghosts and vampires are always interesting creatures to know more about. I don’t write about them, but I’m happy writers like you do! Maybe one day you will write something, you never know. That is such a great excerpt, Savannah. I have this book on my must have list. There seems to be a lot of books about vampires, ghosts, and other paranormals. I like reading these types of books and it’s always good to discover new authors. Tracey, thank you so much. I’m so happy you enjoyed it. Yes it is. I can’t get enough of the genre and am always looking for new books as well. My library is huge now. 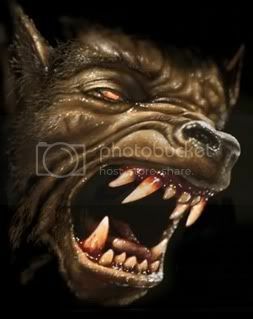 From the first time I saw Lon Chaney Jr. as the ‘Wolfman’, I’ve had a passion for werewolves. I don’t think readers will ever tire of the paranormal. It adds that bit of scariness and delightful shiver to life. Leann, they are all good. As long as we use our imagination and create new stories there will be a never ending supply of amazing reads. I’m always had an interest in Aliens…………who doesn’t! Wow Savannah! What a hot excerpt! My favorite paranomral is a werewolf. I love them. They are so hot and Alpha! Rhonda, thank you so much. Werewolf is hot. There is so much raw power there…How can you resist? I enjoyed the excerpt, Savannah. I’ve loved reading paranormal and have done for years. I have a soft spot for feline shifters, but I’d love to read more dragons and maybe some of the Norse Gods and legends. Great post. Dragons, aliens are a huge part of my paranormal writing. I have sentient dragons and star travellers in my fantasy. This is a fitting post to end the paranormal blog hop. Savannah… thanks. Shelley, thank you so very much. Oh feline shifters are good too..
Rosalie, thank you..Oh wow that sounds way cool. I will have to check out more of your work and add some more books to my list.. Thank you all for taking the time to come by and show support on this last day of the Proudly Paranormal hop. I think the reason I love ti read and write about vampires and other paranormal creatures is that they let me think about tough, real-life issues with a safety net. All manner of mayhem occurs in these stories, but it’s okay because stuff like that could never happen in real life. or at least I hope it doesn’t. Thanks for the post. It’s a great finish to the blog tour! All you wonderful authors just keep doing what you do so well and I will keep buying those books. But if you feel the need to write a book or two or three about dragons, feel free. You know there is at least one person who will buy them. Congratulations on the release and on wanting to try something new! 🙂 I have to agree with Renee–I think dragons are going to be huge, and we have a dearth of those books in the market right now. I love vampires. I certainly haven’t gotten sick of them yet. I’ll get any paranormal creature a chance, though. As long as they’re hot and alpha. There are a lot of people that say they are tired of reading about vampires and wolf shape shifters, but I’m not one of them. I personally like vampires. The alpha bad boys, the ones that steal your heart and turn it inside out before giving it back. There are so many unique versions of vampires out there. I won’t ever get tired of reading those books that bite. Liv- I think that it a great reason to love the paranormal…It does give our mind some escape from real life..
Adriana- thank you….No matter what we love I really think the paranormal genre will never go away..
Ambrielle- you are not alone…I am just addicted…Can’t help myself.